Are you thinking about having an automatic gate installed for your home? There are many reasons why some homeowners prefer automatic or electric gates to manual ones. Number one would be security, as electrically controlled gates offer better protection against thieves, vandals, and so on. They can also be fitted with CCTV or audio intercom for controlled access. Another reason is convenience. If you find getting out of your car just to open and close gates annoying, then installing an automatic gate is a great idea. Plus, it’s a good way to keep pets and children safe, especially if you live in an area with busy roads. If you’ve decided to go for an automatic gate, your next step is to consider which one is right for your needs. Don’t worry! With this guide, you can choose the best electric gate for your home. Cape Cod, country French style, Mediterranean, contemporary…these are just some of the many different house styles that you may be familiar with. Whatever style your home, it’s best if you choose an automatic gate system that doesn’t clash with the overall look of your property. Keep in mind that your gate is probably the first thing visitors to your home will see. If you’re thinking of selling your home in the future, an electric gate will help increase your home’s curb appeal. And even if you never plan to sell your home and just want people to admire your “humble abode,” a great-looking gate with high-tech safety features is a worthy investment. It’s best, of course, if you can hire a company that can custom fabricate your electric gate. That way, you can make sure it truly fits the style and design of your home. Do you want an automatic gate that swings or slides? Sometimes, it’s not up to you. For example, a swinging gate isn’t the best choice if it has to swing toward an upward slope. You also have to check the length of your driveway if you’re considering a gate that swings inward. For a gate that swings outward, you need to make sure your street doesn’t have heavy vehicle traffic. And if you’re thinking of sliding gates, you have to factor in the curvature of your boundary wall. If you can’t quite decide, don’t panic! Your trusty gate installation company should be able to help you pick the right one for your property. How Will You Get In (or Out)? Since we’re talking about automatic gates here, we won’t cover manual access. Instead, we’ll focus on the different types of entry or exit methods an electric gate allows. One access method is by code, electronic key, or swipe card. Yes, they’re kind of fancy. But they’re one of the best options if you’re keen on keeping your property secure and away from prying eyes. Another access method to consider is a remote control, which is the same method used for opening garage doors. Remote control access is perfect if you’re okay with letting guests enter your gate even without you going out to greet them. Last, but not least, is intercom access. It works best when combined with a security camera, in order to be able to see visitors before allowing them through your gate. Of course, there are other features, such as retinal scans or fingerprint checks you might want to think about. It all depends on how much you value your privacy and security. How you will power your electric gate is another thing you’ll need to think over. Are you okay with running electric cables from your house to your driveway? Or is it possible for your gate to be solar-powered? And you need to factor in how often your area experiences power outages. If it’s frequently, make sure you don’t forget about manual overrides. You don’t want to be stuck inside or outside of your home if there’s a sudden blackout. Some electric gates can be costly. The type of material and design have a lot to do with how expensive an automated gate can be. Before you set your heart on a top-of-the-line electric gate, decide on your budget, so you won’t be surprised when a company gives you an estimate. But don’t go too cheap, either. You don’t want to pay a little at first, only to spend a lot of money on maintenance and repairs. Aim for an electric gate that gives you the best value for your money. Who Will Install Your Automatic Gate? Choosing the right installer is just as important as choosing the right automatic gate for your home. You want to make sure you enjoy your brand new gate without worrying it will break down or not work as well as it should. Plus, if you work with the right company, you don’t have to worry as much about choosing the perfect electric gate for your home. With their years in the business, they will be experts in the field and able to point you in the right direction. Now, if you’re currently evaluating installers and still haven’t decided on which one to choose, there are certain things to look out for. Customer service, price, and experience are good starting points that will help your decision making easier. If your family or friends have recommendations, don’t forget to check them out. The important thing is you choose carefully, as it’s your home’s security at stake. Looking for the Best Automatic Gates? Don’t stress about it! If you follow our guide, you’ll have no trouble picking the perfect automatic gate for your home. Just remember, you don’t have to sacrifice aesthetics if your main concern is security. Electric gates can be custom fabricated. If you’re worried about your budget, contact us to discuss your options. We offer high-quality residential and commercial gates at reasonable prices. Is your business or residential property as secure as it should be? Are you wondering how to choose the best access control system? If you’re looking to get started with access control, there are a few things you need to think about first. Not every access control system is created equally. Each has varying levels of security and reliability. Your requirements may also be different depending on your current building and business needs. If you’re ready to choose the best access control system for your business, look no further. Below we’ll tell you exactly what you need to know. 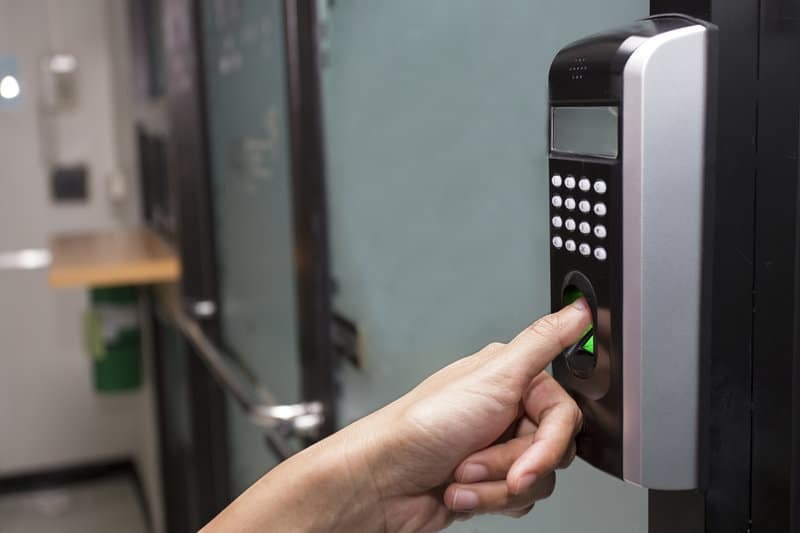 One of the first things to consider when looking for an access control system is what kind of access control policies, models, and mechanisms you would like to use. These three access control components help designate requirements on both hardware and software for who can gain access and how and when they are going to do it. It’s important to know exactly how you want to structure access and there are multiple models for how this can be done. You may choose to allow access based on rank within an organization (Role Based Access Control, for example). Alternatively, you may also base access on specific names on a list (Discretionary Access Control). The next thing you need to consider is what access hardware you will use. How will a person actually gain access and what kind of locks will you use? Will you use locks, login credentials, keypads or fingerprinting? This hardware is what will allow someone to gain access while also rejecting others from getting in. Different types of access features can affect the level of security that you will have and each has different advantages and disadvantages. For example, fingerprinting will offer a much higher level of security than a basic door with only a keyhole. As mentioned above there are different options when it comes to access hardware as well as policies, models, and mechanisms. Much of what you decide when it comes to these features will depend on the amount of security you want in place. This will vary a lot depending on your individual needs. A large office building may have different access control needs than an automatic gate system in a gated community, for example. To decide what level of security you need you should take many factors into consideration. These factors may include the location of your business, the crime level in your area, and your business hours. If you’re getting ready to install an access control system you’ll want to consider the installer and manufacturer carefully. Take the time to decide if they are the right fit for the job. Do your research and find out how long the manufacturer has been in business and how long they’ve been developing these types of systems. You may also want to ask what other types of businesses and end users have used the same solution in the past. Are they similar to the size and scope of your own business needs? Also, get references if possible and find out as much as you can about the reliability of the business before you get started. Implementing an access control system is a big investment so it is important to treat it like one. You should know what to expect after system installation. Find out if the company will offer updates in the future as well as what kind of support you can expect to receive. Be sure to discuss these things at length before choosing a system for your business. Also, have a plan for any changes your business may go through later on. If you may decide to change systems in the future you need to know how easy this will be, what the costs will be, and what else to expect. 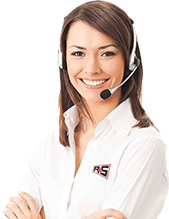 Before having an access control system installed, it is crucial that you find out about any compatibility and connectivity requirements you have. Not all access control systems work with all types of operating systems. Take the time to find out beforehand if you will have any compatibility issues. Some access control systems will offer web-based connectivity solutions as well. If web connectivity is important to you and your business, make sure to discuss this beforehand. You should also think long and hard about which doors will need access control. Not all doors or gates will need the same level of security in place. Too much security control can lead to a business slowing down since each time someone goes through a door they will need to take a moment to verify their credentials and gain access. It’s good to find the right balance that allows your facility to be secure while at the same time ensuring that your business isn’t unnecessarily interrupted. Take the time to map out your building. Decide which areas need to be secure through the use of access control and which ones don’t. Before you install access control in your facility you also should take the time to accurately assess the costs. It’s a common mistake to only take the upfront expenses into account. Maintenance of the system, upgrades, regular operations, training, and acquisition can all require additional costs. It can be more expensive than you may realize. Be sure to ask any company you’re considering working with what the related costs will be in addition to the upfront costs. Ask what the breakdown of costs will be over a five year period, and you’ll get a good idea of what you can expect. Installing an access control system can do wonders for your business. It will help ensure that your business is safe from harm and has the security it needs. However, installing access control is not a decision to take lightly. There are a lot of factors that you need to be aware of. By considering the points listed above you’ll have the best chance at having an easy access control installation. Looking for an access control system for your business? Contact us today to learn more about what R&S Erection of Concord can do for you. Taking your service doors for granted is the biggest mistake your business can make. High-speed doors create operational efficiencies, keep employees safe, and reduce costs. Before we look at some of the advantages of these specialized doors, let’s cover the basics. High-speed doors are also referred to as high-performance doors. They serve the basic function of a barrier in commercial settings. But their most important purpose is to open and close quickly. High-performance doors, in general, allow quick movement throughout your facility. They also have specific functions used in industries like food processing, logistics, and high-tech. Among these functions are weather resistance, security, environmental containment, and pressure stability. Basics are great but they don’t tell the whole story. High-performance doors provide many advantages for your business. One of the seven below might be the make or break advantage your company’s been looking for. 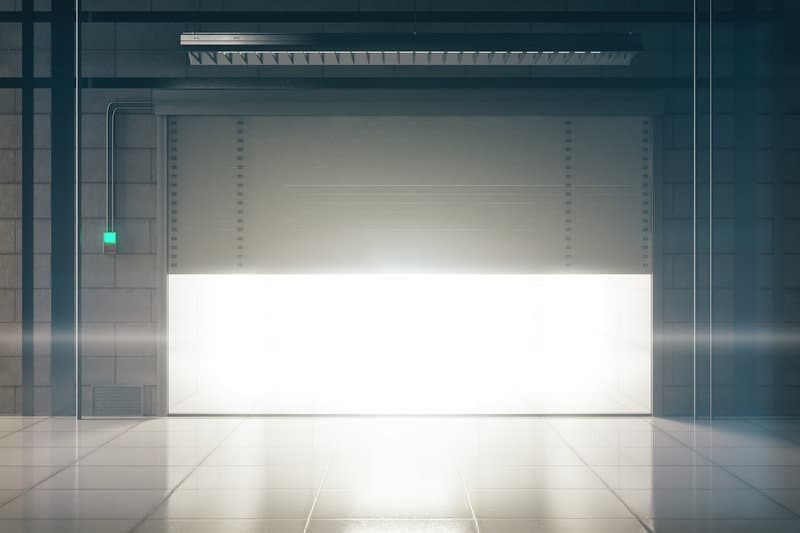 High-speed doors are versatile enough for use in auto dealerships, food processing plants, and semiconductor manufacturing facilities. Their unique construction and operation allow them to fit specific needs. Let’s look at these advantages and see how they impact your business. Standard high-speed doors have built-in security functions. Their quick open/close times cut the risk of employees entering non-authorized areas of your facility. Rigid construction doors, made with rugged aluminum slats, are used for exterior applications. They’re found in auto dealerships, hotels, and convention centers. Some doors have no rubber gaskets between slats. This eliminates intrusion by slicing them open. Intruders can’t get through the slats which means they stay outside, where they belong. There are many reasons why businesses use high-speed doors to segregate areas of their facilities. Some areas work with corrosive or noxious materials. In others, employees produce sparks while welding. Still in others, extreme heat or cold is necessary. Quick operation, strong seals, and durable materials keep employees and visitors safe. The doors themselves are flexible. Because the door curtain has no rigid parts, damage and injury after collisions are reduced. On rigid style doors, transparent panels limit vehicle collisions when entering and exiting. Some doors have intuitive signaling technology to warn employees of approaching vehicles on the opposite side. 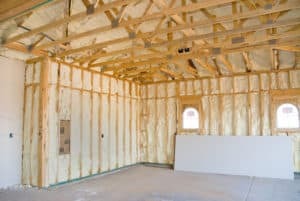 There are four primary features that promote energy efficiency. High-speed doors seal very well on all four sides to keep hot and cold where they belong. The quick open and close cycles limit hot and cold air escaping. Their durability comes from a design that is more damage-resistant than conventional doors. Conventional door issues like bent slats allow heat and cold to escape. Certain high-performance doors are wind resistant up to a set number of miles per hour. This feature is very useful for keeping cold winds from affecting warmer areas. Doors can also be equipped with insulation curtains that limit condensation and ice build-up. This is especially important in auto dealership service departments where customers drive straight into the service bay from outside. Cars move in and out of the service bay all day, even in inclement weather. In some businesses, like those that need clean rooms, airflow is key. Dust and airborne debris can damage the manufacture of some products. They can also damage heating and cooling systems. High-performance doors control airflow and reduce risk. Use them in pairs to form airlocks in pressure-sensitive environments. Hygiene standards are another reason to control airflow in operations like food processing. Food manufacturing facilities use high-performance doors to separate waste disposal areas from the assembly line. High-performance doors fast open/close cycle saves time and increases productivity. Products, equipment, and people move throughout your facility with ease. 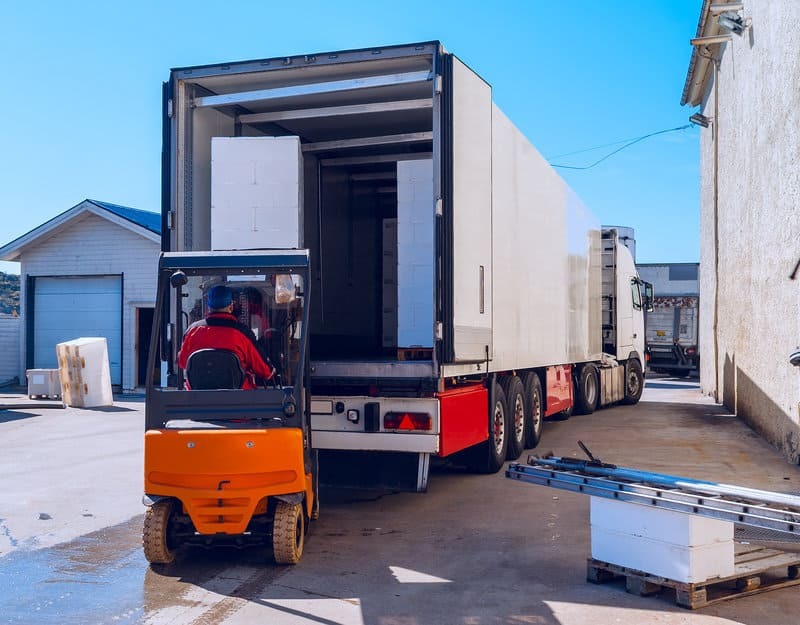 Businesses where material handling and transport is a priority, thrive on volume processing and smooth logistical flows. High-performance doors allow these businesses to maximize productivity. High-performance doors work great at auto dealerships, too. Customers are impressed when the service bay door opens many times faster than a traditional door. The faster customers can pull in and park on the service drive, the faster they can get on with their busy days. In the food processing sector, doors must be easy to clean and disinfect. High-speed doors with PVC curtains and stainless steel side covers are made to withstand heavy use of cleaning agents. When conventional doors are knocked off track, a service call is usually the only option. High-performance doors feature a self-reinserting curtain that prevents downtime after collisions. Opening and closing the door returns the curtain into its side guides. In the event a rigid door’s aluminum slats are damaged, replacement is simple. Some repairs take 15 minutes, or less. With proper security measures in place, the door can still operate while waiting for a technician. In cold climates or environments, de-icing doors and guides are time-consuming. Equip your high-performance doors with heated side guides, insulated curtains, and defrosting systems. These options make de-icing a non-issue. Finally, doors equipped with patented push/pull drive technology require little maintenance. The design purposely limits wear on moving parts. These massive advantages make it easy for high-performance doors to revolutionize your operation. Sorry, we couldn’t help ourselves. But high-speed doors are no joke. They provide so many benefits that pay for themselves. A 21st-century business literally cannot afford to go without them. RS Door offers high-performance doors from Dynaco, featuring their patented push-pull drive technology. To see all the advantages we’ve talked about today, click the link for a free high-speed door estimate. There were a myriad of reasons to keep that door closed: bugs, weather, insulation, and safety. Bottom line, though – the door needed to be closed. Keeping our business enclosed as well as protected is an integral part of our daily business operations. We open in the morning, close in the evening and at the end of the day want to know that when we leave – our property and assets are safe and secure. Commercial overhead doors have come a long way in energy-efficiency, safety, and security. However, they are large, heavy, and can become a liability if not installed correctly by a professional to ensure they are OSHA compliant. Check out these things that every shop, business, and/or warehouse owner should know about their overhead doors. First, let’s chat overhead doors. These are the most popular types of doors used in both residential and commercial properties. They are convenient, they are efficient, and they are easy to operate. But why choose the commercial overhead door? These types of doors are pretty impenetrable, making them the Fort Knox of doors. Doors that close and latch into the ground don’t really leave a lot of room for entry without a key, remote, or access code. They create a peace of mind that owners can trust to keep their property secure during working and non-working hours. These doors do exactly what their name implies – they roll up and down. 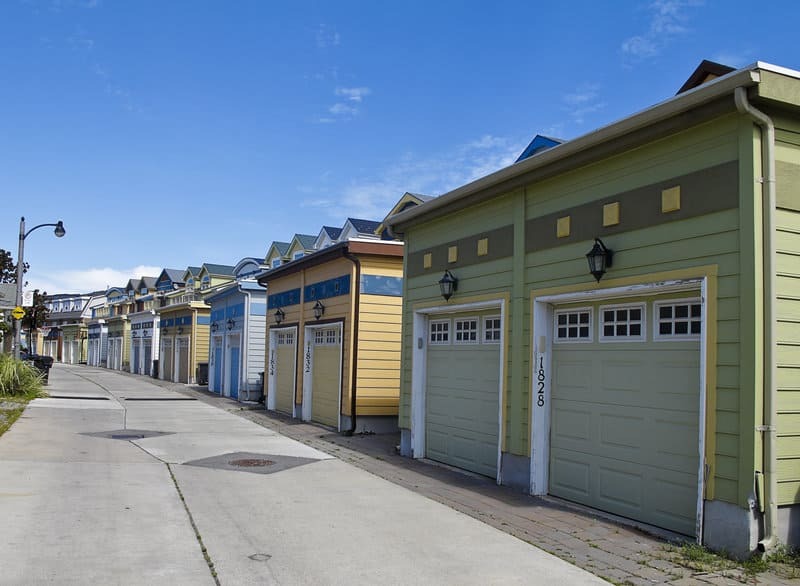 Used primarily for warehouses, storage units, and outdoor shops, restaurants, and businesses, rolling doors are specifically manufactured for strength and durability. Once you roll one of these commercial overhead doors to the ground, it’s final – the day is done. Made out of galvanized steel, Superman would be the only impending threat that could penetrate these doors when closed and secured. 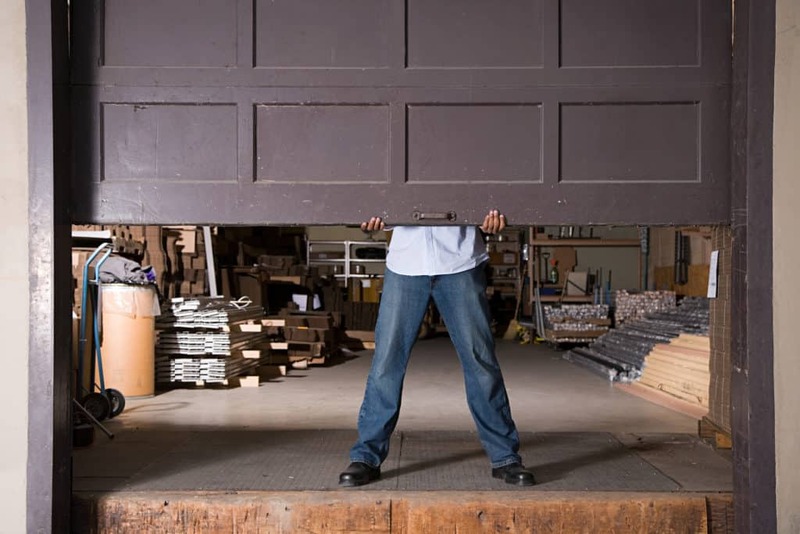 Available in manual push-up, chain pull, or motor operation – rolling doors are great choices for warehouses, car washes, machine shops, auto body shops or any other place that needs a strong, durable door that can ensure your property is incredibly secure at the end of the day. Known for being the safest, fastest, and best-sealing doors – the high-speed door gets you in and out with speed and efficiency in mind. With the ability to stop if someone or something is detected underneath the door, this option is one of the safest in the industry and a great option for larger volumes of foot traffic. Probably the doors that you may recognize most often, the sectional door is exactly what it implies – multiple doors in multiple sections. These types of doors are used for fire stations, loading docks, and other locations where multiple vehicles require access. 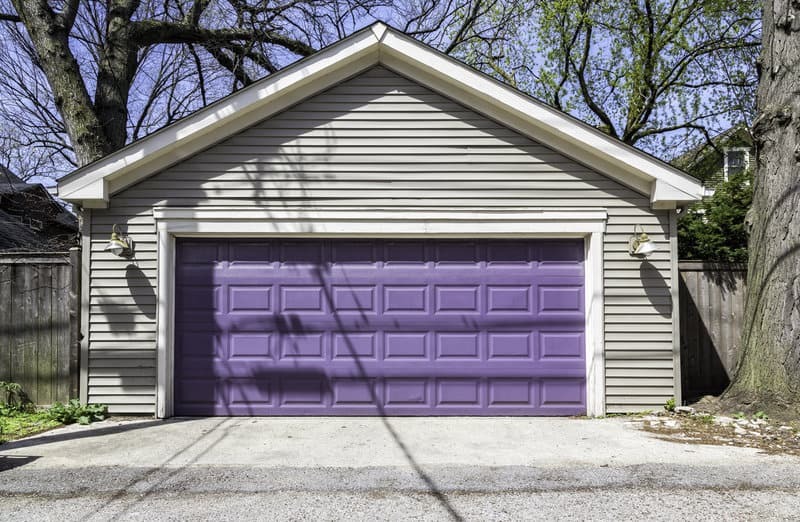 Built to take regular usage, sectional doors are the garage door choices for many businesses based on cost, efficiency, and design. Easy to maintain and available in a variety of colors, these doors can offer secure access as well as an aesthetic appeal. Need some quality security and ventilation? 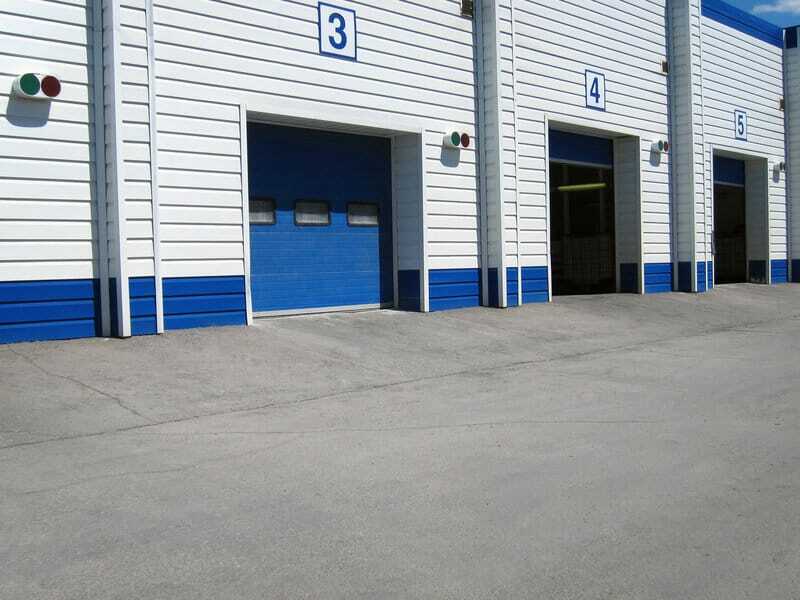 Aluminum grilles are the commercial overhead door that could best fit your needs. Constructed out of galvanized steel in a handful of different grate patterns, these doors allow maximum airflow as well as maximum protection. The standard grille is the usual go-to for storefront locations inside shopping malls or other enclosed spaces. The heavy grille is the perfect choice for parking garages. This type of door is built stronger to withstand something like a speeding vehicle. It’s late, you’re hungry, and you want to find some food ASAP! These types of doors may have been your greeting if you showed up past normal operating hours. The counter doors are compact, visually attractive, and durable. Used mostly for food counters at walk-up or cafeteria style locations as well as drive-throughs, these types of commercial overhead doors are smaller and more compact in design. Able to fit most custom measurements, counter doors are perfect for smaller openings that don’t extend to the ground. Fires happen. 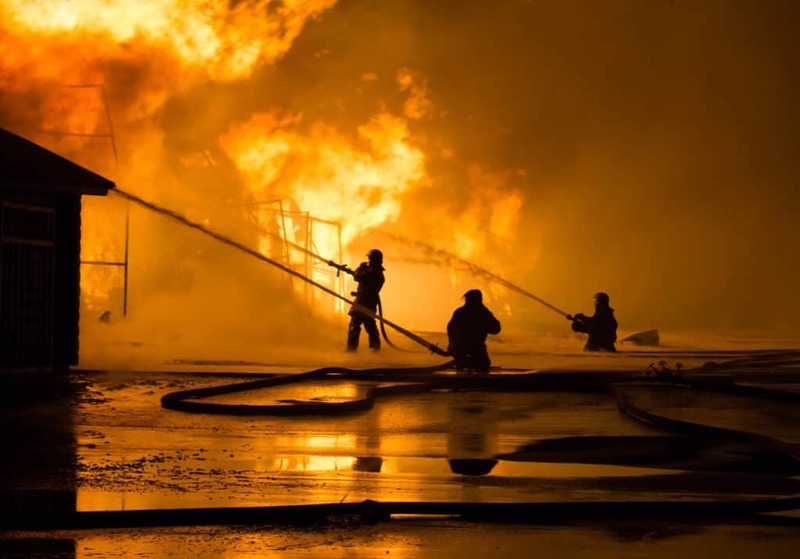 That’s why there is a specific type of commercial overhead door to cater to this potential fiery situation. Depending on the type of business that you need to outfit, these types of doors may be a requirement. These are rolling doors that have an added layer of fire resistance and extreme heat durability. Depending on your type of business, you may be required to install doors with a certain level of fire resistance. Hospitals are prime examples of where these types of doors are a necessity and a requirement. You’ve invested your time, money, and energy into a commercial business. You definitely don’t want bugs, weather, insulation concerns, or safety issues to impact your daily operations in any way. To rest easy and know that your company or business is safe in your absence – a commercial overhead door will pacify your worry. With all of the different options available, these types of doors have become the literal gatekeepers to our businesses and warehouses. Installing the right type of door(s) may seem overwhelming, but finding a door that is durable, reliable, and safe is a must. Find a company with extensive knowledge between the differences of the various commercial overhead doors and outsource to a professional that can help diagnose your business needs. After you ‘close the door behind you’, do so knowing that your business is protected with a door you trust.